Is it possible to use debt consolidation to avoid foreclosure? Yes, this is possible if you have several unsecured debts with high interest rates and if most of your money goes towards making monthly payments on these. If you opt for debt consolidation, it can help you continue with the payments on your mortgage. It becomes important for you to make the home loan payments for if you default on the mortgage, the lender can foreclose your home. When you take out a home loan, you are required to agree to some terms and conditions of the mortgage. If you fail to follow these terms and conditions, the lender can take away your home; sell it off and get back money which you had borrowed from him. This is possible because the word mortgage suggests that the home is kept has been kept as collateral – mortgage against the money which was borrowed by you. You take out this money in the form of loan which you are supposed to pay back within a certain time. However, as it is the lender’s money which you are using to buy the home, the title of the home belongs to the lender (till you are able to pay back the home loan). Thus, if you ever fail to make the payments, the lender in order to recover his money can sell off the home. 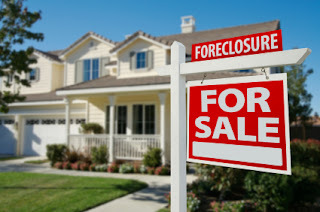 Foreclosure happens in case you default on the home loan payments. It can also happen if you fail to make even the minimum payments. You may think that you are going on making payments on your home loan but how come the lender can foreclose your home. According to the terms of the loan, if you are not able to make high payments on the loan, you do have the option to make small payments on it based on the loan amount and the interest rate. This is known as the minimum payment. However, if you fail to make the minimum payment; if the amount you are paying each month is lower than the minimum amount agreed upon in the loan contract, the lender can foreclose your home. Debt consolidation – What is it about? Debt consolidation is mainly concerning the unsecured debts that you have. With debt consolidation, just as the name suggests; the several debts that you have get consolidated as one debt. This means that in debt consolidation, all of the unsecured debts that you have get consolidated as a single debt. As this happens, the number of payments that you are making now reduces to only one. Moreover, with debt consolidation, the interest rate on the consolidated debt lowers. Now, how does this happen? In case of consolidation, you are either required to do balance transfer if you have several credit cards, take out a consolidation loan or enroll in a consolidation program. You are either required to take out a consolidation loan with low interest rate or transfer the balance from all of the credit cards with high interest rate to a card with low interest rate. As this happens, the interest rate on your consolidated debt lowers. Now, the catch is that as you are required to make single payment against the debt with low interest rate, you are able to save a lot. Thus, majority of your money is no more going to get concentrated on unsecured debt payments. This helps you in making payments on the mortgage, thereby helping you save your home from foreclosure. Thus, you can see that debt consolidation can actually help you save money and save your home from being foreclosed.